Buck Wild Grooming products are handmade with all natural ingredients with a focus on quality and care that are second to none. Our beard balms deliver a strong styled hold with a long lasting scent. Something beard oils do not achieve. We apply a meticulous and handcraft approach to the production of our beard balms. At Buck Wild Grooming, we understand how important it is to be careful with our hair. Buck Wild beard balms help the beard to feel and smell great. 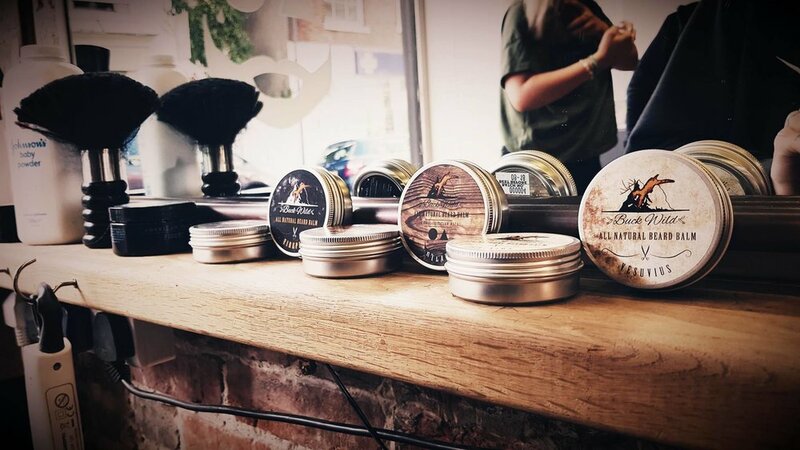 Buck Wild's beard balms will keep the beard conditioned throughout the day whilst also offering a strong degree of styling.